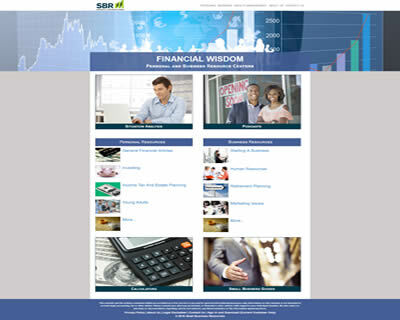 SBR can build your firm a Financial Wisdom Resource Center which will contain all of the content found in the Library of Content. Your website will have your logo and colors format. The content is displayed in easy to understand sections for both Business and Personal Finance type content. You may also access the content through our secure server to download and place the content within your bank’s web site.